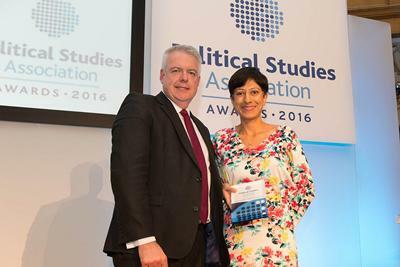 Politics academics at the University of Southampton are part of a winning team to receive the Democratic Innovation Award at the Political Studies Association (PSA) Annual Awards in Westminster. Together with researchers from four other universities and members of the Electoral Reform Society, Professor Will Jennings, Professor Gerry Stoker and Dr Paolo Spada were recognised for their Democracy Matters Citizens’ Assembly project. Democracy Matters aimed to address the gap that has emerged between the public and politicians, political processes and political institutions. It brought together politicians, regional leaders and the public to debate a range of options for Britain’s constitutional future. 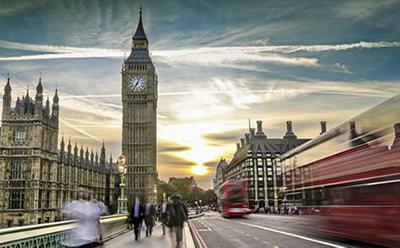 Will Jennings, Professor of Political Science and Public Policy at the University of Southampton, said: “Our project challenged the myth that people are disengaged from politics. When citizens are given the chance to assess a range of positions and possibilities, they do it with gusto – people are more than capable of grappling with complex questions about the way we are governed. Between October and November 2015, two pilot assemblies were run in Sheffield (Assembly North) and Southampton (Assembly South) to ask how new regional powers can be established in a form that is supported by the people who live locally. The pilot assemblies compared and contrasted different assembly design types and revealed how to ‘do’ politics differently and the long-term benefits of such an approach in an era that appears defined by anti-politics. Now in its 15th year, the PSA Awards pays tribute to those that have made outstanding contributions to the study and conduct of politics in the past year. The Citizens’ Assembly project achieved both, by bringing together an alliance of university researchers and civil society organisations to pilot new ways of promoting informed public engagement around the English devolution agenda. The winning team consisted of Katie Ghose (Electoral Reform Society), Matt Flinders (University of Sheffield), Will Jennings (University of Southampton), Edward Molloy (Electoral Reform Society), Brenton Prosser (University of Sheffield), Alan Renwick (University College London), Graham Smith (University of Westminster), Paolo Spada (University of Southampton) and Gerry Stoker (University of Southampton). As an ESRC-funded ‘rapid response’ project, Democracy Matters demonstrates the capacity of the social sciences to undertake rigorous, risky and high-impact research in an agile and highly responsive manner. The master of ceremonies on the evening was Jon Snow (Channel 4 News), and the award was presented by the First Minister for Wales, Carwyn Jones. Other winners include Grayson Perry (Contribution to the Arts and Culture), Michael Ignatieff (International Recognition Award), Gordon Brown (Lifetime Achievement in Politics) and Ruth Davidson (Best Use of Social Media).